Ricoh has just announced the new HD PENTAX-DA 11-18mm f/2.8 ED DC AW Lens and HD PENTAX-FA 35mm f/2 Lens for Pentax K-mount. 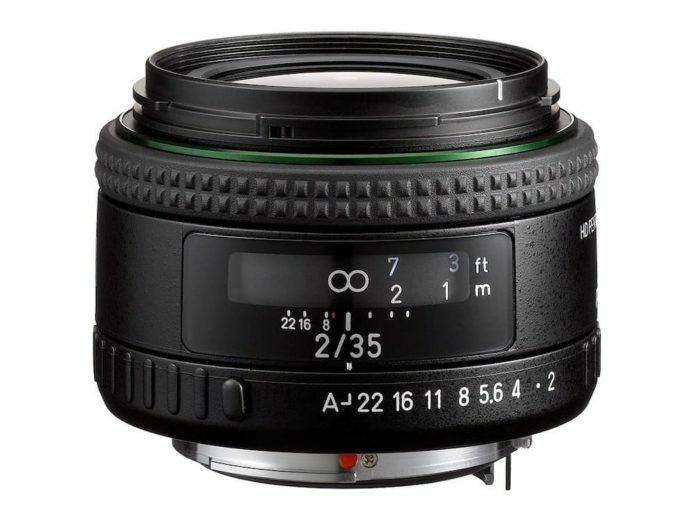 The full-frame 35mm F2 is based on the smc PENTAX-FA 35mm F2 AL from the film era and features HD and SP coatings, with the former reducing reflections and the latter repelling water from the front element. The lens has six elements in five groups and a six-blade aperture. The weather-resistant 11-18mm F2.8, equivalent to 16.5-27mm when mounted on an APS-C body, has 16 elements, a nine-blade aperture and an HD coating.